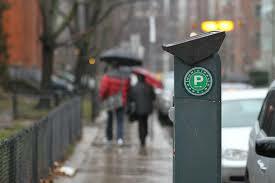 It will cost you more to park at Green P lots in Toronto starting Monday, averaging about .50 more per hour. The rate increases will vary based on location at 160 different parking lots. Some of the lots no longer have daily maximum option, leaving drivers to pay by the half-hour. The city defends the fee hike saying they are in line with other big cities. A California-based urban planner thinks Toronto needs to chance the pay structure and introduce rates based on time of day rather than flat rate and charge more based on demand. In a controversial decision a couple of weeks ago, parking authority board members voted to continue giving themselves and current city councillors free parking in Green P lots.